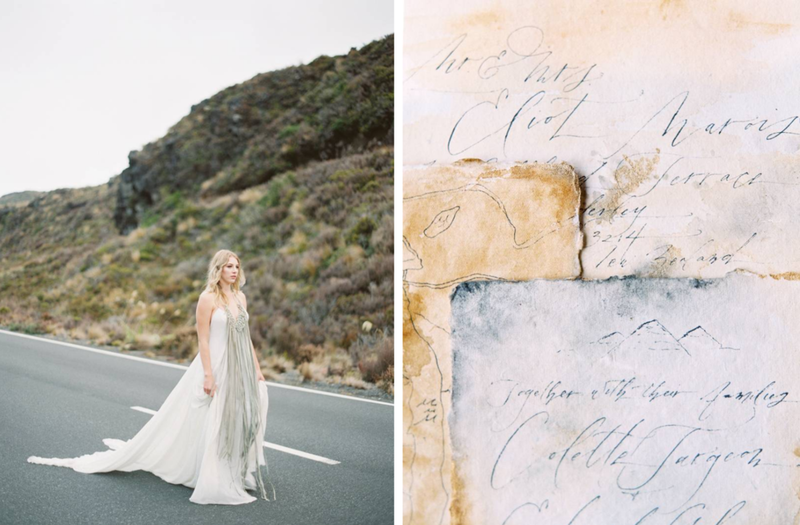 Natural beauty in epic landscapes; that is what this inspiration shoot from Charla Storey and Magnolia Rouge is all about! 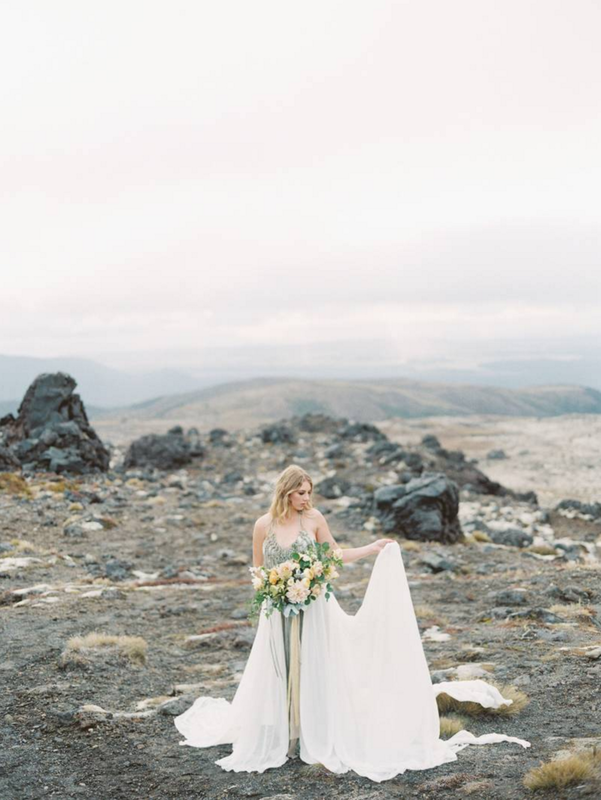 Our Lilaea Gown, with its macrame overlay, looks right at home in this unique volcanic landscape. 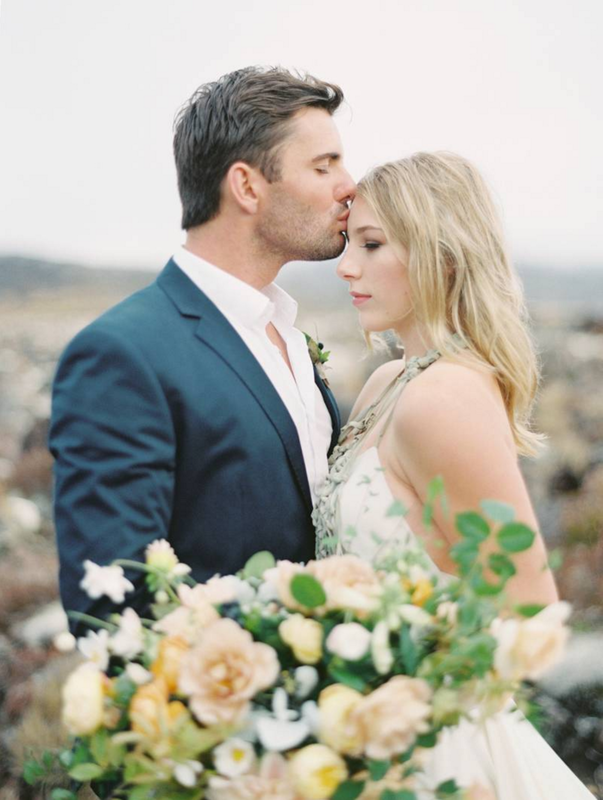 The lush and warm bouquet plays beautifully off the rugged surroundings. 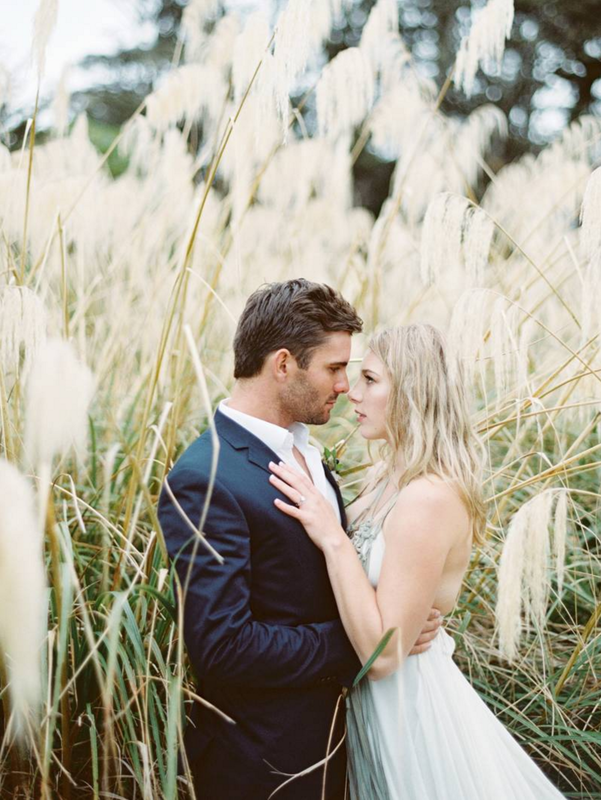 And we are all about the natural, undone feel of this hair and makeup.